Join us for a beautiful and intimate evening service. 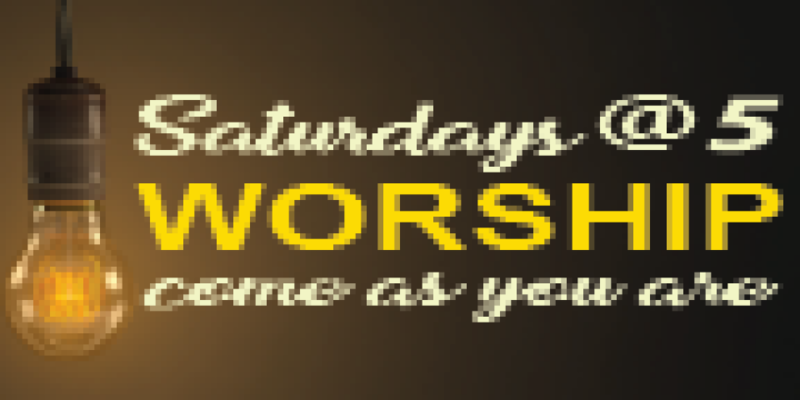 Saturday Worship @5 is offered weekly starting September 16. When life gets too hectic or Sunday sports get in the way of the family worshiping together, jump in just as you are. Mark your calendar. Bring a friend. You'll appreciate the distinctive character of this service. We offer Godly Play Children’s Worship beginning January 6. Godly Play Children’s Worship is for ages 3 to Grade 5. Children who attend the Saturdays at 5:00 worship service will begin worship with their parents. They will then have the opportunity to move to a worship space with sacred story boxes where they will continue in prayer, song, and response to God’s message. A sensorimotor style of storytelling is used, and children learn the language of worship and theology. They experience the awe and wonder of God’s stories and of God’s presence as they participate in a worship service where we together reflect on the mystery of God. If you would be willing to assist with this worship service, please contact Kim Lynn.